Although these pulls are well made and I loved the closed ends, I found them to be too bulky looking. The diameter of the round rod was bigger than I expected. I was afraid that, once they were all installed, my mid-century inspired kitchen would look more like doctors office / hospital institution. I sent them back. Revamp your kitchen with the sophistication of these satin round cross bar cabinet pulls. The sturdy stainless steel construction prevents corrosion and provides enduring value. These pulls are beautiful and very substaintial. The brushed stainless steel blends nicely with the stainless steel appliances and does not show finger prints. They are easy to grab and make my cabinets look more high end. The price beats any for the quality and I will buy them again for my renovations! We get a ton of compliments on these. I am glad that we went with this size and we have 42 inch cabinets. Very nice looking handle - individually packaged to ensure each piece is scratch free. Short and long screws are included as well, which is nice. There is a discrepancy in measurements in the description- in the description it says 8.125” and in the specs it says 9.125”. It is just over 8.5” for those of you who might also get confused by the discrepancy. 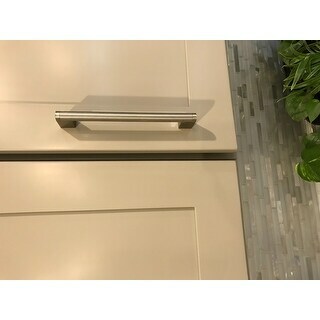 Beautiful handles - very high end looking for the price. 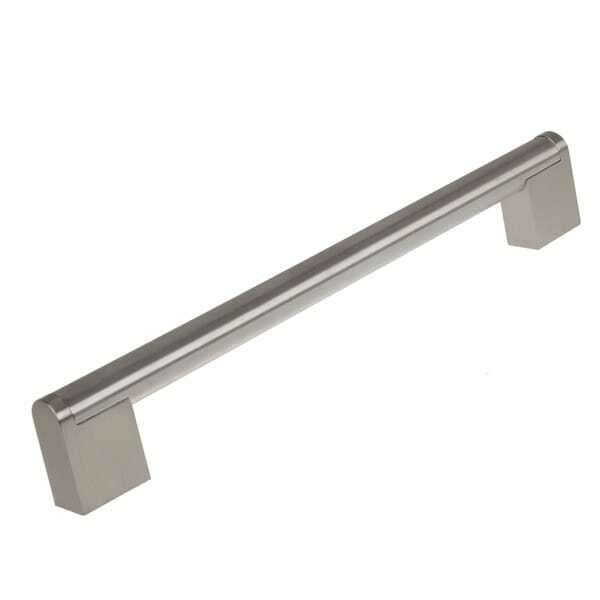 This cabinet pull is good quality for the price. I ordered some longer ones that weren't available from GlideRite from a different manufacturer and the quality of the others is better, but at a much higher price. I'm very satisfied with these door pulls. These cabinet pulls are amazing! We used them in a modern kitchen remodel. They are very simple yet have that thick bulky look we were going for. A+ on the packaging, they were wrapped individually with zero trace of a flaw on any of the pulls. These pulls match my kitchen aid appliances perfectly. They are substantial and were priced well. They were easy to install. They look both modern and industrial without over doing it. I would highly recommend these. 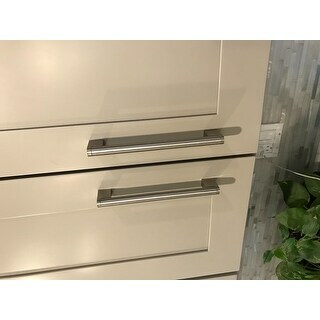 Great price, nice big handles for 42 inch cabinets. Some of the handles had some minor defects in them, but it was easy enough to orient them in a way to make them less noticeable. Great buy!!! We bought these cabinet pulls for our new kitchen cabinets. Shipping was fast, installation was easy and we are happy with them. I got this bars for the 42'' kitchen cabinets, I was concern with the looks but they look really good. I'm glad I got them. Used these when we re-painted our kitchen cabinets white. Made the traditional cabinet style pop a bit. So instead of just a “farmhouse” look we were able to get a modern pop to our remodel. Best price too! It's looks great and works very well. Bought for a newly renovated kitchen and it is beautiful! Heavy weight and still looks like new a year later. Have gotten multiple compliments on it. "The description areas mention that this pull is 8.125 inches in length, but in the specs it says 9.125 inches. Which is it?" The length is 8-1/8" and the screw spacing is 7-5/8". To use in my kitchen. They look great and decided to use the larger pulls throughout my new mud room as well.